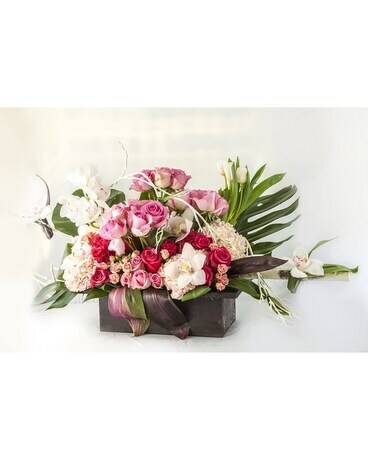 This exquisite arrangement of artistically designed premium flowers will capture everyone's attention. We'll include our best premium flowers such as roses, lilies, and tulips accented with premium greenery. ACTUAL APPEARANCE AND CONTAINER WILL VARY BY SEASON AND FLOWER AVAILABILITY. Call with your questions.